I’m a 3D Technologies Consultant who’s a passionate advocate of “The Future of Making Things” using the latest digital design techniques and software, together with new manufacturing methods such as 3D Printing / Additive Manufacturing. Fantastic opportunities lie ahead of us through the use of these technologies as part of Industry 4.0. 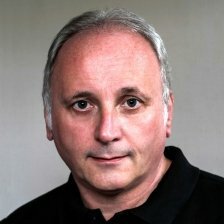 I’m a qualified, professional engineer with over 34 years experience in the automotive industry which, coupled with my skills developed around the use of new and emerging product creation and manufacturing techniques, means that I am able to see the exciting possibilities ahead in Industry 4.0. I also see the need to engage the next generation in these exciting new ways of product design, engineering and manufacturing to help supply the UK with a skilled workforce for the future. As part of that objective I am leading the Digital Catalyst activities that forms part of the Future of British Manufacturing Initiative (FoBMI). The Digital Catalyst programme is a ground-breaking way of engaging higher education with industry to instigate digital transformation, and help close the skills gap.